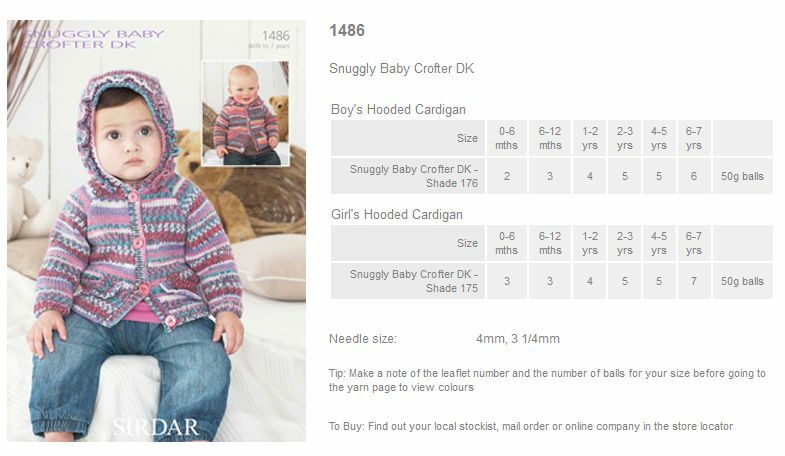 1486 - Boy's and Girl's Hooded Cardigans using Snuggly Baby Crofter DK Leaflet with designs for Boy's and Girl's Hooded Cardigans using Sirdar Snuggly Baby Crofter DK. 1485 - Round Neck Cardigan and Shawl Collared Cardigan using Snuggly Baby Crofter DK Leaflet with designs for a Round Neck Cardigan and Shawl Collared Cardigan using Sirdar Snuggly Baby Crofter DK. 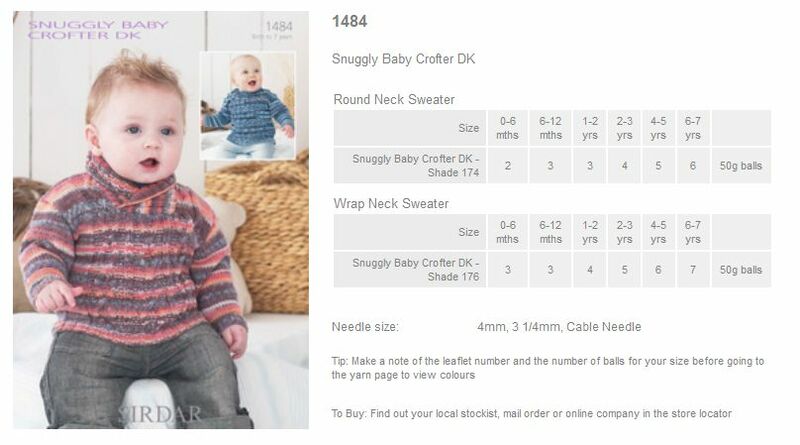 1484 - Round Neck Sweater and Wrap Neck Sweater using Snuggly Baby Crofter DK Leaflet with designs for a Round Neck Sweater and Wrap Neck Sweater using Sirdar Snuggly Baby Crofter DK. 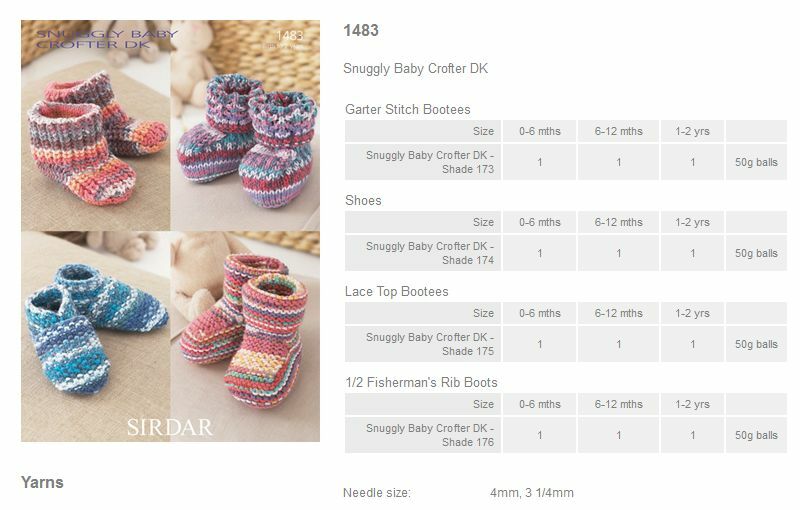 1483 - Bootees, Shoes and Boots using Snuggly Baby Crofter DK Leaflet with designs for Bootees, Shoes and Boots using Sirdar Snuggly Baby Crofter DK. 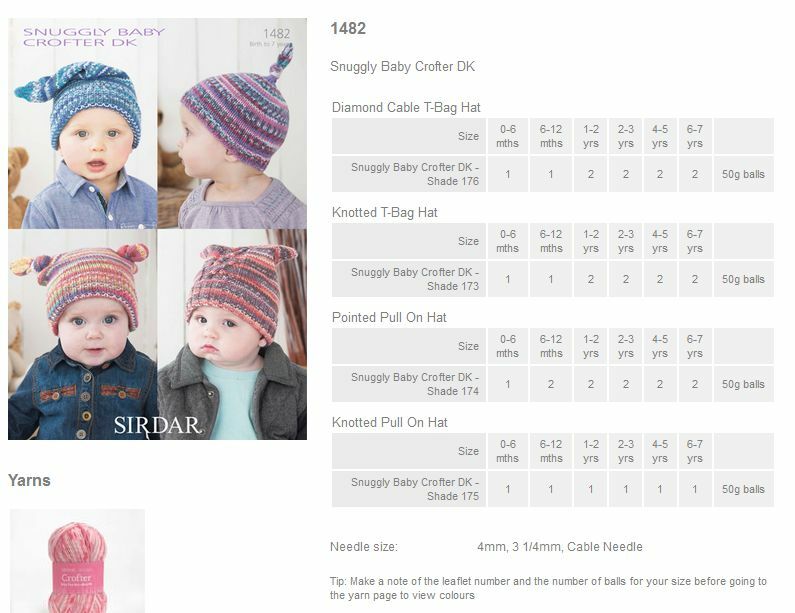 1482 - Hats using Snuggly Baby Crofter DK Leaflet with designs for Hats using Sirdar Snuggly Baby Crofter DK. 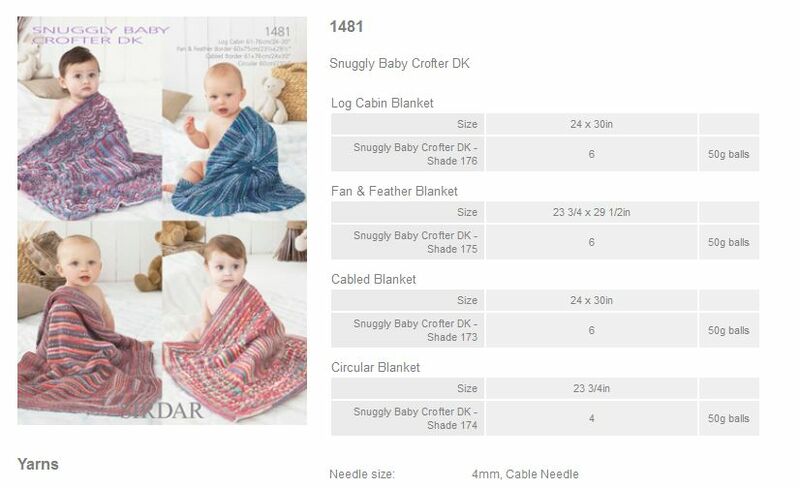 1481 - Blankets using Snuggly Baby Crofter DK Leaflet with designs for Blankets using Sirdar Snuggly Baby Crofter DK.